The "tekkie-wiki" (also written "tekki-wiki" or "tekki-wikinista") is another Second Life concept invented by Prokofy Neva. As he explained in an interview with Hamlet Au, Prokofy sees the tekkie-wiki as a "collective expert technical brainstorm to collaborate on projects outside of uninitiated scrutiny." Prokofy holds that tekkie-wiki is part of the ideology of the Feted Inner Core, which is a supposed group of talented content-creators, encouraged and subsidized by the Lindens, and forming the established and recognized elite at the world’s center. Prokofy’s August 2005 post What is the Tekkie-Wiki? reproduces his original definition of the term on the SL forum, which can be summarized as follows: "Tekkie wiki is the technically elite subculture of SL that gets jazzed on showing off their skills in prim building and scripting, but doesn't get excited in delighting joe average user." The post then goes on to criticize the more general culture of wiki websites, among which the best known is Wikipedia. A wiki is a website with pages that can be freely created and edited by anyone. The wiki principle probably inspired Linden Labs when they first decided to let residents create their own objects. Second Life is in fact a sort of wiki in three dimensions. There is however a key difference, in that Linden Labs also established individual ownership over objects, and residents can only edit objects that belong to them. Prokofy's criticism of wiki websites, taking Wikipedia as a case in point, centers on lack of accountability, and on hidden control by an inside elite. Old-fashioned media had an educated editorial board and a director who was a tangible figure with social accountability. The accountability of a wiki is supposedly provided by its self-corrective nature: anyone can see and correct false information. But this mechanism has shortcomings, and wikis are notoriously unreliable. Wikis do however remove traditional obstacles that prevented all kinds of smart or helpful people from sharing their knowledge with others. But rather than being open and democratic, as they are touted to be, wikis tend to be dominated by insider groups, characterized by secrecy, apprenticing, hazing, and arrogance. For Prokofy, the basic problem is that a wiki is a collective, and that any collective tends to evolve towards the type of closed group-think that characterized the Soviet Union. But what exactly does Prokofy mean by a "collective." Human society is by definition a collective endeavour, so the term needs honing down. I suggest that Prokofy is referring to a particular type of collective organisation, one which steamrollers over the individual and the individual's rights, in the name of the "common good." Before I came to Second Life as Danton Sideways, I spent a few months contributing to Wikipedia, under the name of Redeyed Treefrog. I notably created a long article on the History of Wikis. I also created a number of shorter articles, some of which were deleted because the only sources they cited were web-based. One of these articles, on the subject of Sunir Shah - who is discussed further below - was deleted after minimal discussion by a self-appointed committee, assembled during the Christmas break, at a time when my attention was on other things. I logged on one day to find the debate closed, because the 5 day time limit set for the deletion discussion was over, and the article gone, without my having even had a chance to participate in the debate. With some difficulty I identified the administrator who had initiated the deletion, and left a message on his page saying I would like to discuss the matter by email, but there was no reply. This whole proceeding reeks of "secrecy, apprenticing, hazing, and arrogance," to use Prokofy's words. Being relatively new to Wikipedia, I have neither expert knowledge of the arcane system, nor a social network of other contributors to turn to for help. The administrator in question is an anonymous contributor, with no visible hierarchical superior. I find myself in the position of a powerless individual crushed by a faceless bureaucracy, like the hero of a Kafka novel. I nonetheless remain an enthusiastic fan of the wiki format. Danton Sideways is a self-proclaimed disciple of Ivan Illich, whose philosophy involved returning to people the control over knowledge and techniques. Wikis are a prime example of how this can be done. Of course Wikipedia is unreliable, and it is at present completely gangrened by an elitist inner core, but it is still an amazing repository of collective knowledge, and one that could only have been constructed through massively distributed collaboration. My diagnosis is that the problem has relatively little to do with the wiki format per se, and everything to do with a deficiency of internal democracy and a lack of safeguards to protect individual rights. New technology engenders new social structures, which at first take haphazard, and typically elitist, forms. Specific efforts must be made to improve emerging social systems, and to make them more democratic. It took European culture some two thousand years to develop the forms of mass democracy we have today, and in view of their poor present performance in the matter of human rights, we can only hope that the job is still far from finished. What can be done to improve the way wikis function? I might give an example taken from the bit of research I did on the subject. It seems to me that there are three key people in the history of wikis: Ward Cunningham, Sunir Shah and Jumbo Wales. Ward Cunningham invented the first wiki, called WikiWikiWeb, and Jimbo Wales founded Wikipedia . But who, you may ask, is Sunir Shah? Sunir Shah is a young internet enthusiast and forum moderator who showed up one day on WikiWikiWeb and started writing on the subject of WikiOnWiki, which means thinking about wikis, what they are, how they work. But Ward Cunningham and his associates wanted to restrict WikiWikiWeb to specialized discussion of computer programming. So Sunir left in 2001 and created MeatballWiki, the first wiki devoted to thinking about wikis. Sunir and his friends at MeatballWiki developed a range of concepts that have become fundamental to wiki culture. The first is that a wiki is a community. The idea of on-line communities is nothing new. As noted by Fred Turner in From Counterculture to Cyberculture, one of the seven design goals underlying the creation of the WELL in 1985 was that "it would be a community," and WELL participant Howard Rheingold first coined the term "virtual community" in 1987. But Sunir and friends were the first to apply the idea of community to wikis. To see what this produced, the best is simply to read the pages of MeatballWiki. One spin-off was the concept of barnraising, which is a concerted group effort to help an individual implement a project, which could even be the creation of a new wiki. Another innovation was the practice of awarding virtual barnstars in recognition of outstanding efforts on the part of individual contributors. The MeatballWiki team also extensively contributed to developing Interwiki, which denotes various methods for linking together existing wikis. Wikipedia did take a number of ideas from MeatballWiki, such as Barnstars and Interwiki. But as my personal experience indicates, Wikipedia seems to have evolved more into a soul-less collective machine, instead of into a self-conscious community concerned about its individual members. The Wikipedia social system thus appears to be still in its infancy, and characterized by the type of elitist, insider manipulation that Prokofy denounces on Second Life. The emergence of elites is natural, and there is nothing to gain from trying to prevent individuals or groups from achieving excellence. As suggested above, the solution to tekkie-wiki elitism may instead have something to do with developing community and democracy. Do we foster community then by asking the elites to think more of the well-being of others, to be more concerned for "joe average user," as Prokofy puts it? That approach might move things a bit in the right direction, but creators and entrepreneurs are notorious for looking out for number one, and in general only seek to serve their customers to the extent that doing so increases their own business. Another possible approach, and one which is in line with the philosophy of Ivan Illich, would be to focus one's efforts on increasing the tekkie-wiki capacities of all of the other users. 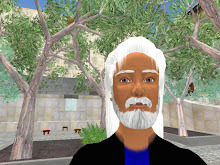 This could be done for example by developing better user support systems, such as tutorials and on-line help, and by promoting the formation of social self-help groups for the uninitiated, throughout the many different virtual communities flourishing within Second Life. The possible implementation of this approach is a vast subject. To sum it all up in a simple formula: let’s create some Tekkie-Wiki Social Clubs for the rest of us. Danton, as a leftist, you have a touching belief in the goodness of the collective. I don't. It always turns to tyranny of the minority over the majority. I'd rather have these supposedly corrupt politicians that at least have to worry bout getting re-elected than these anonymous wiktards erasing my content in the dead of night. There it all is, in living colour. Read the entry VWR-382 where I manfully attempt to do just what ou suggest -- introduce due process, democratic procedure, etc. into this malevolent collectivization program -- and see how hard it is, and see how the little Jirahadists try to step on anything that would curb their power. The very issue you raise can be seen there -- people coming along and closing off others proposals and trying to freeze their votes if they don't like their ideas. I propose having a consent toggle that only makes a motion for closure, not an actual closure, and requires that the person so closed respond within 30 days, but that his voting stays in effect. You could read "The Group is its Own Worst Enemy" by Clay Shirkey and then my rebutta of Shirkey, Google it. He thinks it's a good thing if these little caretaker "soul of the group" types develop. I don't, in the MMORPG/virtual context where they become horrid and oppressive elites. I make a distinction between the collective, which is essentially evil, and collaboration. Collaboration implies consent, interactivity among peers and equals, and accountability. I'm completely unimpressed with wikis. They always get started with pomp and circumstances by one or two big minds that map them all out, and then only the lifers keep them up, with the others usually too busy or disinterested. It's only useful for very tightly-scripted, like-minded groups on a task. It's not a good vehicle for governance of a diverse and contentious community, because one of the primary things needed by conflicting groups is a reliable record that nobody can keep editing and deleting. I think it's fair to say that history is not made by groups. History is made by individuals. Groups have a role, too. But individuals taking responsibility and standing up for their convictions are paramount. They shouldn't be crushed under the weight of wikis. I still owe you a beer. Any time, any where. Thank you so much for preserving wiki history. One of the reasons MeatballWiki was successful for so many years was that we were aware of wikis' tendency towards 'cryptocracy' (see the page on c2), and we wary of the twin threats of power and anarchy. Perhaps that was only possible because we were such navel-gazers. In the end things fell apart after we were bombarded by threats like spammers and trolls arriving from the wider wiki community, and I progressively took more and more control. When I see parallels to this experience in how our societies are changing, I feel sad. Sunir – Yes, I sympathize about the trolls. Other than in the case of a permanent institution like Wikipedia, most wikis seem to have a definite life-cycle. There probably comes a point where they should be closed to further modifications, and left to stand as a record of the developments which occurred during a certain time period. Prokofy – I understand only too well your argument about the collective serving as a front for a minority. One can nonetheless try to design systems that at least provide democratic process and individual rights. The Wikipedia deletion process does incorporate a voting mechanism, but my personal experience shows how imperfect it is. It could for example be improved by requiring that an email be sent to the article's author, and acknowledged within a reasonable time period, before the deletion discussion starts. It is however unlikely that improvements in democratic process would prevent internal power plays. Thus Ivan Illich advocated the development of specific legislation to limit the abuse of power by elitist minorities. But rules are made to be broken, and those with power will always find ways to get around the barriers. I'm more interested in the other part of the equation: how to increase the personal power of all of the average individuals making up the dispossessed majority. I know Sunir but didn't know this side of him. This is a very cool read! Danton, I agree with what you're saying and I have an idea that may be of interest. Essentially, it's really hard for one person to manage the activities of many, so it's better to spend energy finding ways to get everyone pulling in the same, right direction. This is a great insight. The distributed async collaboration of tech communities is a lot like virtual world governance. The fit of facilitative tool controls can be very important. Who controls the archives? ... why didn't my post get approved as fast as Jane's? ... etc. Whatever the tool, platform administration and good leadership behavior matter. When they seem unreliable or unbalanced, the momentary heat of some small debatable issue often will metastasize to flame the entire system, process and project. Vibrant, viable, important RL software projects have lost mutual trust, split up & failed that way. In our world, people vote on fairness with their feet. hapless leaders, who contribute and then retain personal control of resources, feel unappreciated, stung and angry at accusations of an FIC (see Prokofy Neva's writings for that one); hapless would-be contributors fear a class system and disenfranchisement, and walk away; and no-one's happy. Not good. Any tools for collaboration must be accompanied by best practice guidance to work well.